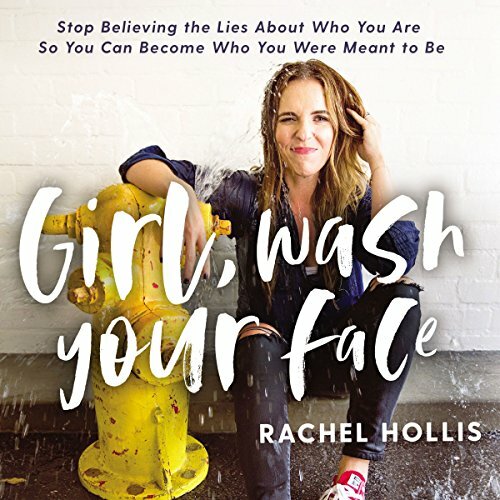 With unflinching faith and rock-hard tenacity, Girl, Wash Your Face shows you how to live with passion and hustle - and how to give yourself grace without giving up. 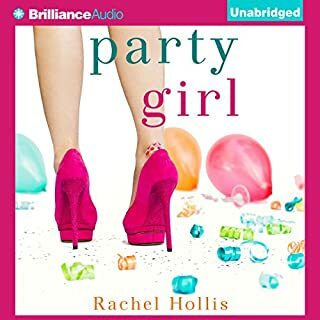 I usually like Rachel Hollis. 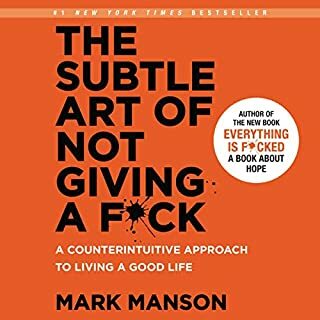 I found this book to be a bit ignorant of a regular person's life. It's great to go follow your dreams if you've got a husband who is going to float the bills in the meantime. Most people aren't so fortunate. (I could go on but I won't.) I couldn't make it past the 10th chapter. I bought this because of so many positive reviews but after listening to 5 chapters I had to return it. Everything I heard was really basic - things you’ve probably heard countless times in your life. 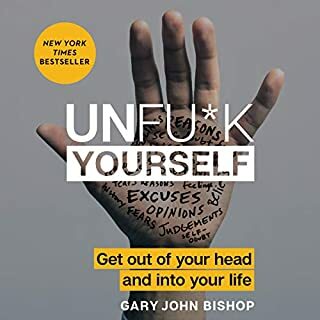 I really didn’t enjoy the narration or find the author’s antidotes relatable or funny even though it was so clearly trying to be both of those things. 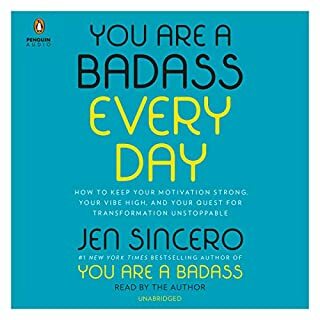 I would recommend You Are A Badass instead. 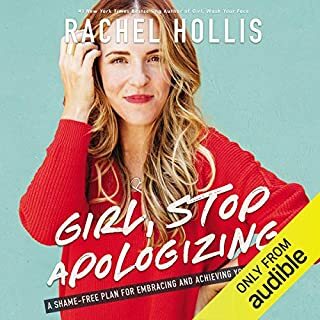 I recently saw Rachel Hollis's documentary about her Rise event, and loved it. Loved the messages, the empowerment, and all of it. So I picked up this book. But is not striking the right chord with me. I'm only about 1/3 the way through, but I had to put it aside. For now, at least. 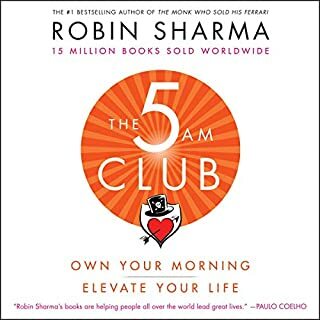 I read/listen to a lot of self-help/empowerment/mindfulness/motivational books. But this one feels like I am being scolded a bit. I get that it is just her story and she is not professing to be an expert/psychologist/etc. But something about the tone is falling flat for me - which is partly me and partly the book. I just think she has a lack of awareness about how some of her messages can be received, and I find myself wishing some of it was backed by research the way so many other books are. So I accept that this is really popular for many people as a great inspirational tale, but so far not my cup of tea. 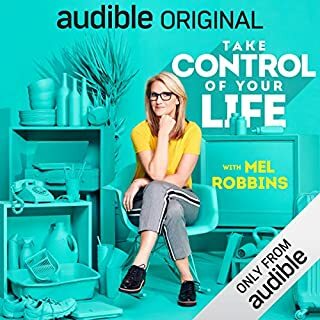 An entire book telling us we are in control of our lives? Who doesn't know that already? Is that something that indoctrinated Christians fall for? Very disappointing waste of an audible credit. There are motivating books out there containing useful information. Try Matt Fitzgerald's, "How Bad do You Want It," or Cindra Kamphoff's, "Beyond Grit." I want to like it, but can't handle listen to someone non-stop bragging about how amazing they are at life. Looks hip and understanding, but in reality, the author won't shut up about her christian washed brain. I'm guessing she had to if she wanted to be published.. Struggled to finish the book. Her story is difficult to relate to for me. At times felt too fairytale-ish. I enjoy the way she writes and tells her story but wasnt a book for me. As she says many editors told her, her book is "too sweet" and really doesnt relate to my life. I did enjoy this book. much of the content spoke to me, woke me up, encouraged me to take control of my life and take action on my goals and dreams. 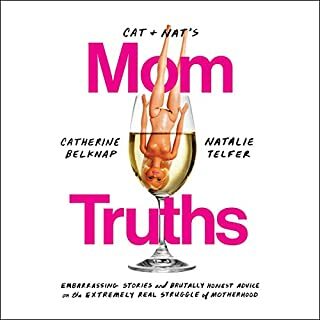 My only real criticism is that there were a lot of times that I felt like I just couldn't relate, at all, or really follow along because it was so focused on being a good mother. I am not a mother and have chosen not to be one. More power to those that do! I salute you!!! If you're a mama and need some guidance and encouragement... this book is bomb!!! But for me, I got bored with the stories. 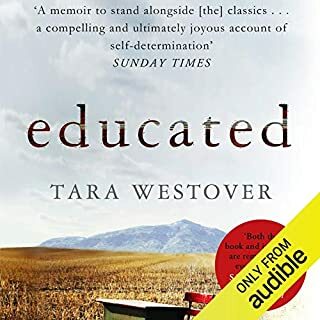 Call me a terrible person... her testimony of her experiences were gripping but they didn't resonate with me... so I lost interest for a great deal of the book. However, overall I enjoyed it and will likely listen to it again, I'll just skip through the parts that don't speak to me. 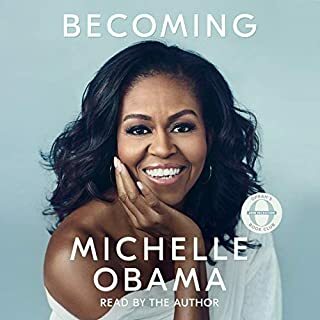 I loved the author's voice both physically as she read and in her story to call to action you living in your truth and speaking it too. Ugh. 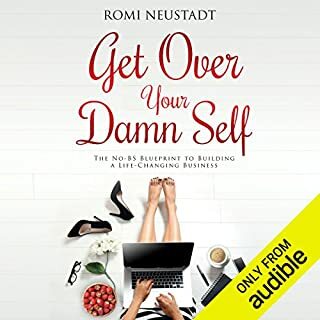 I REALLY wanted to be into this book...but dang, it’s exhausting to listen someone make a case over and over for how great and successful they are...all while trying to drop a few life-advice nuggets for the reader (all of which you could get from a 20 min scan of “motivational quotes” on Pinterest). Rachel REALLY wants you to know how fantastic and accomplished she is....wait, did you actually grasp how much she has achieved? Don’t worry...she’ll tell you a hundred different ways in this book. Plus, there is SO much God/Faith/“I’m a good Christian” mumbo jumbo that it just comes off dis-genuine, preachy and un-relatable. This former preacher’s daughter really wants to sell you herself...and some heavy handed Christian values, y’all! This book gave me the "brain pain"
If you like wall decals that say "live love laugh", this book might be for you. Not what I was expecting, and not in a good way. I wanted to like this book. 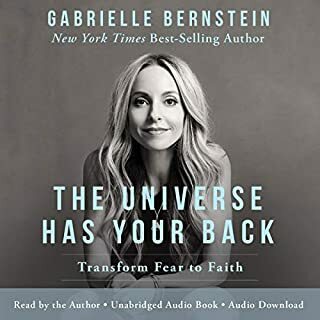 I loved at the beginning when I heard her encouraging women to understand that they have the power to change their life if they are unhappy. Yet once we got into chapter two...it all went downhill, MAJORLY. At one point she was saying she couldn’t “trust or rely” on her friend who didn’t stick to her “whole 30 diet” The author basically said “How can I trust her to keep a promise if she can’t keep a promise to herself?” Ummm it’s a DIET Rachel, not a moral test, OHHHHHKAY!?? Then it made me think...then if we can’t trust a woman that has “failed a diet” because she didn’t “keep her promise” at some point in her life, then none of us would have female friends. Zero. She chose a HORRIBLE example, staying on a diet does not indicate a women’s values. Or her ability to keep a promise. It’s so closed minded, I can’t handle it. She goes on to talk about diets and weight loss and if you can just “make *it* (weightloss) a priority and keep your promises to yourself (aka stick to your diet and exercise routine) then you too can lose weight and magically your life will be significantly better. Um, I just can’t even people. To all women out there, Please know, you are loved, worthy and capable of so much more than just sticking to a diet and changing your life/body to fit societies standards. You are so much more than a just a body. First off, I didn't really know what I was getting into when I chose this book. It was on the bestsellers and I was in panic mode and needed to make a quick decision. 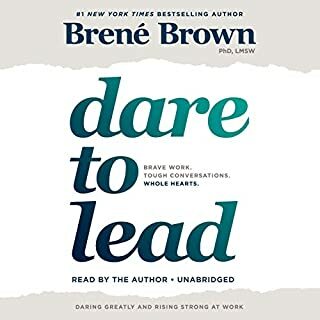 It's possible that many of my gripes with this book stem from the Author's voice and maybe if I had read an written book my feelings would be different, but probably not. The author come across as whiny, immature and dim witted. I can't believe that this "self help" book would actually help anyone other than a young naive teenage girl. If you are not a young naive teenage girl, then there are better places to spend your time and money. The author really loves herself, that is apparent. It is great to love yourself, but why do your readers need to know how much you love yourself? This reads like a list of the author's accomplishments in her 35 years of life experience. Nothing of significance, enlightenment or substance here. Here, I'll save you some money: Follow your dreams, you can be whatever you want to be in life. You're welcome. Side note #1: She talks down about people who are overweight as if they are less than. Example: you are ugly and not worthy if you are overweight. I would like to let her know that your weight on a scale has nothing to do with your health. Also, you can be overweight and not over-eat, stress eat or sit around on a couch all day. I am a super busy mama and I roll my eyes when I hear a mama say they are reading a great book or just finished a book. I think to myself how in the... do you find time to do that. Then someone said they do it through audible. Thinking to myself I’m not sure if I can even find the time for that. 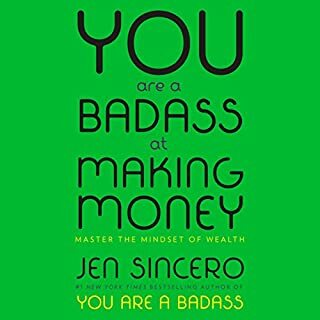 So I jumped on and did a free 30 day trial and bought this book with my credit. 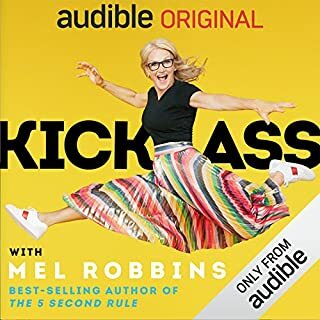 Girl I deep cleaned my kitchen and front room for two days while listening to this book and finished it in those two days. I cried when I finished because I couldn’t believe I finished a book in TWO days and everyone survived and I still got things done and homeschooled. 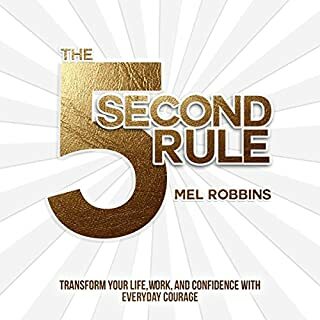 And not just any book but a book I SOOOOO desperately needed to hear. I laughed out loud, I cried out loud and I yelled out loud. 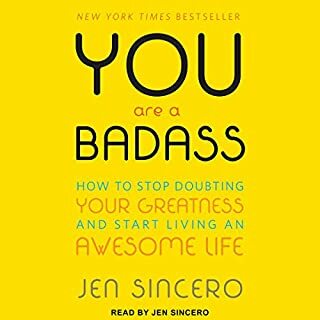 This book will be a monthly go to for a reminder of who I am and who I can become. 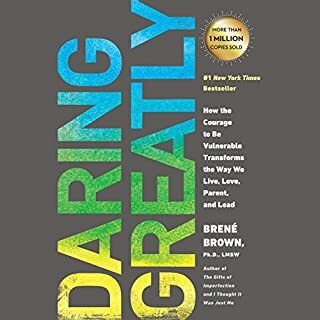 I’m so thankful to have found a way to read this book. Super life changing. Interesting stories but nothing new. Your typical Christian girl trying to be hip and relevant. Lots of “sweet friends” and “sisters”. Similar to Emily Ley. Predictable message. Was hoping for a little more practical instructions as to how to become who you’re meant to be. Prior to pruchasing, I didnt realize the book would be religious-ish. Okay, easy y'all -- No problems with this! couldn't finish it...kept trying based on the recommendations of others. I didnt find anything wise or remarkable in this writer's life or musings. not the right book for me-I couldn't be more opposite from her in every way. other people clearly like it. I liked the candour, couldn't stand the scripture. There were far too many religious references for this atheist.